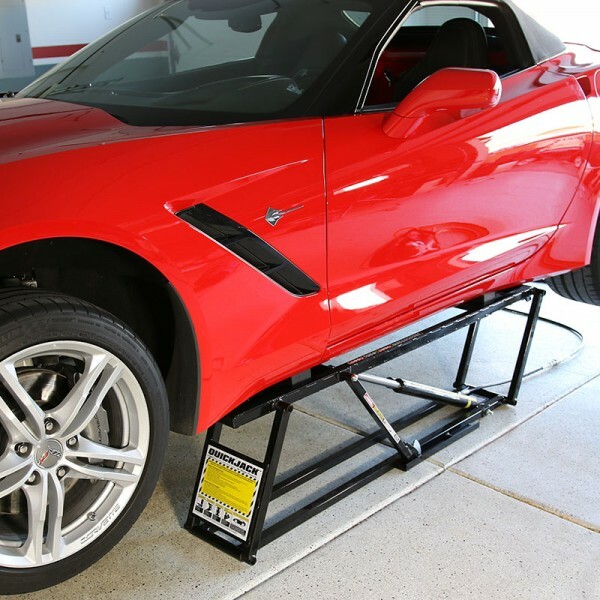 The QuickJack™ BL-3500SLX is the ultra-portable hoist system for car lovers of all kinds. Wrench with ease in your garage or shave off seconds at the track. 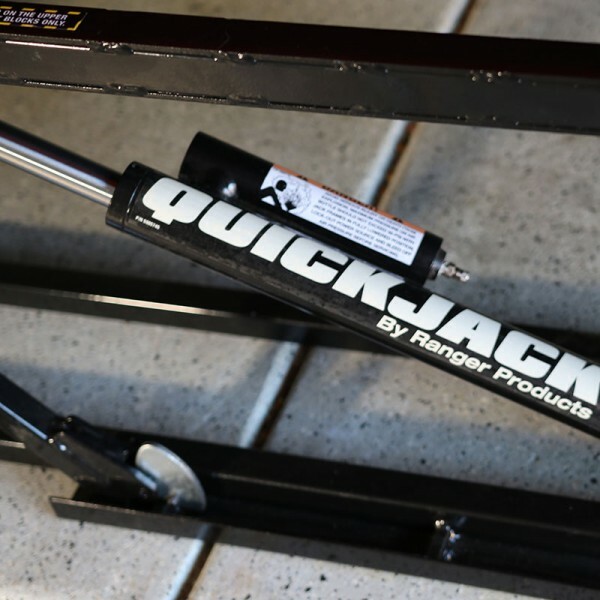 QuickJack will make all your automotive hobbies faster and safer than ever before. Less labor and more love. 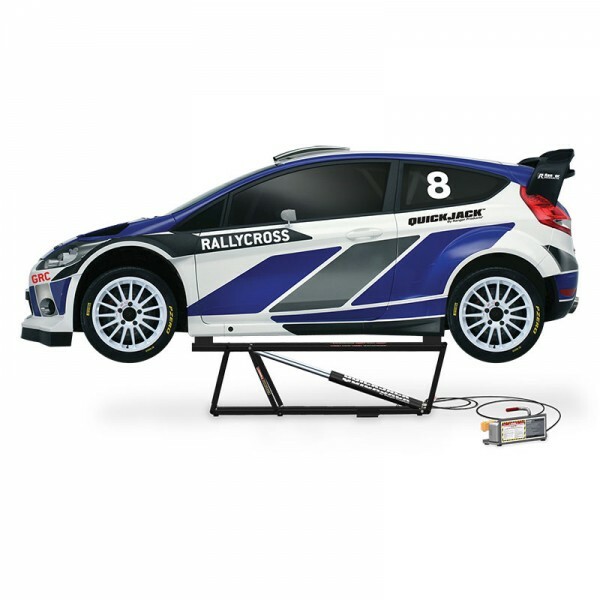 The QuickJack BL-3500SLX light-weight portable car hoist system will change everything about how you maintain your vehicles. 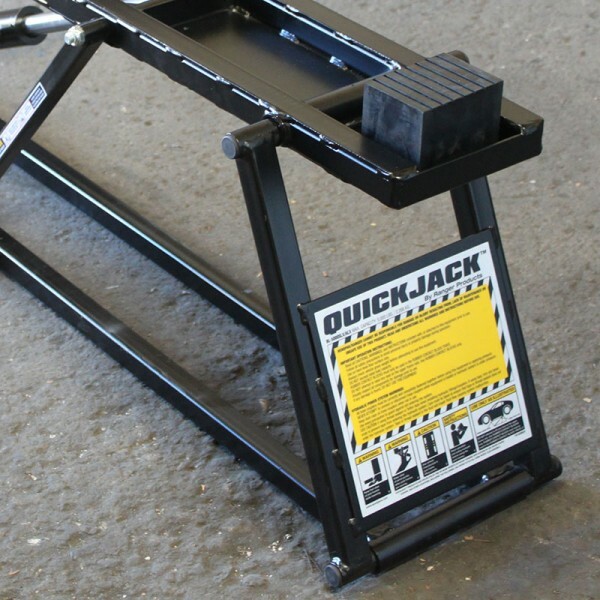 Say goodbye to ramps and flimsy jacks--with the QuickJack BL-3500SLX, you can get your vehicle in the air in literally seconds. The BL-3500SLX has a maximum lifting capacity of 1,588 kg (3,500 lbs.). But its true strength is that you can take it with you. 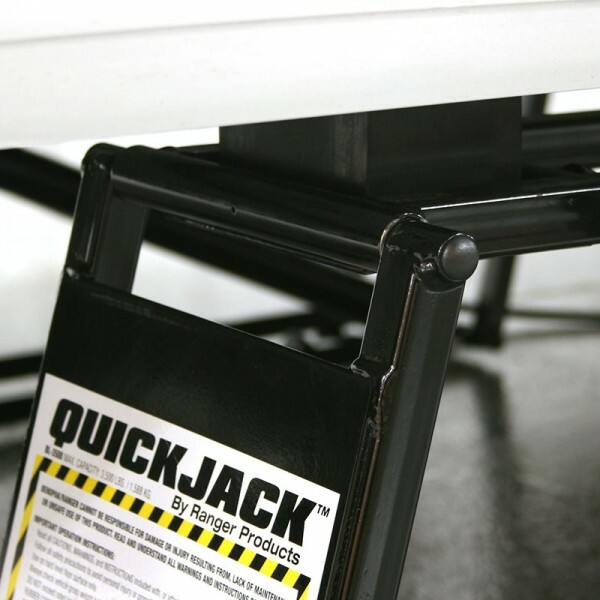 The QuickJack is so light-weight and space-efficient that you can transport it in your regular sized trunk or backseat. It also takes seconds to get up and running following initial one-time assembly. 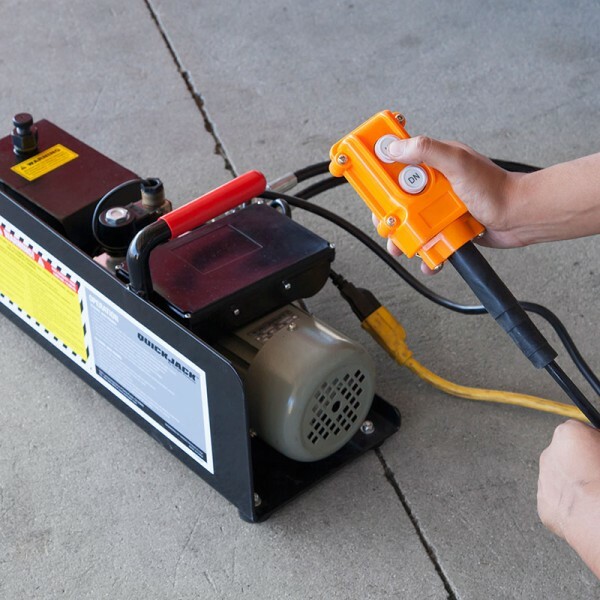 Just drop it on the ground and hook-up the power. 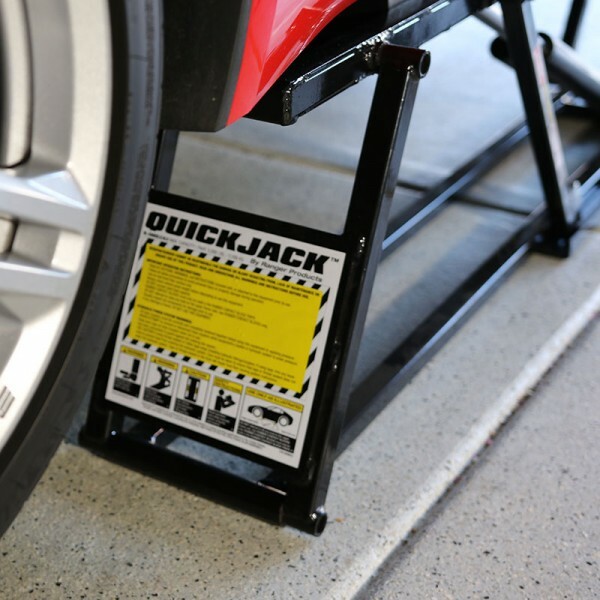 As soon as the jack frames and rubber blocks are in place under your vehicle, it'll be at a work-ready height in no time at all. It's really that easy. 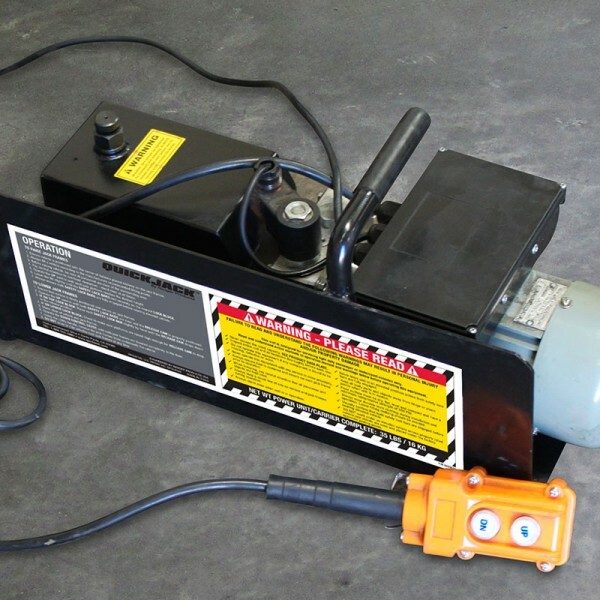 Every QuickJack model comes with a portable hydraulic power unit featuring a built-in hydraulic flow divider for extremely precise equalized lifting.